Although it seems as if the state doesn't have enough evidence to prosecute Pastor James Ng'ang'a for the alleged hit and run case where he is said to have killed a person, there are other people who are carrying their own investigation. 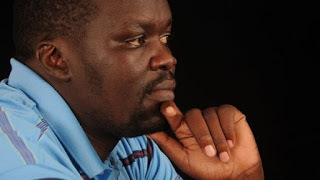 Blogger Robert Alai through a Facebook post has shared some new evidence that will be very difficult for the pastor to prove otherwise. These two vehicles are not different. The KBS was once owned by one Alex. It was later written off and sold as a salvage in 2013. This is the car which Ng'ang'a now claims to own. The KCD is what he was driving. 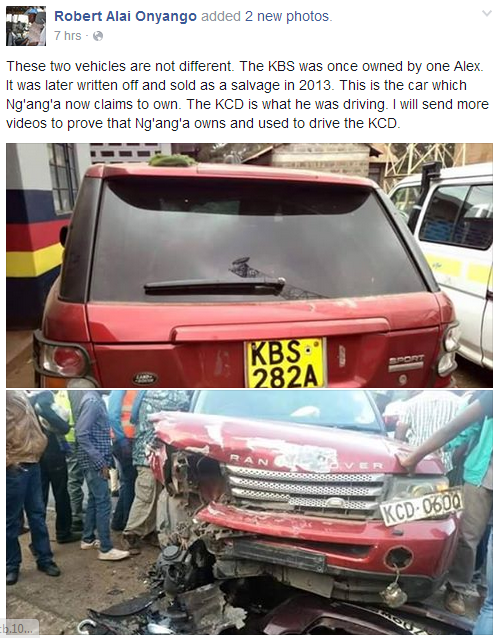 I will send more videos to prove that Ng'ang'a owns and used to drive the KCD.